Nardi and Co. want to climb the complete Mummery Rib for the first time. 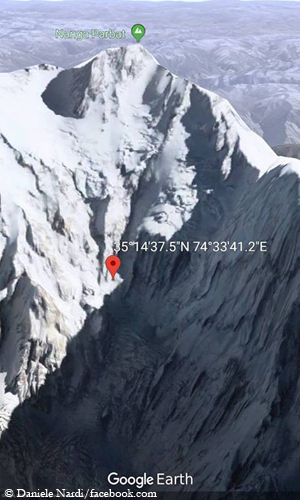 In 1895, the British pioneer Albert Frederick Mummery had dared the first serious attempt on an eight-thousander via the distinctive rock spur in the Diamir Face. With the Gurkha Ragobir he had reached an altitude of 6,100 meters. Nardi tries this route for the second time: In winter 2013, he had climbed with the Frenchwoman Elisabeth Revol up to about 6,400 meters. Meanwhile, the seven climbers of the K2 winter expedition from Russia, Kazakhstan and Kyrgyzstan have set up their base camp at an altitude of around 5,200 meters at the foot of the world’s second highest mountain. 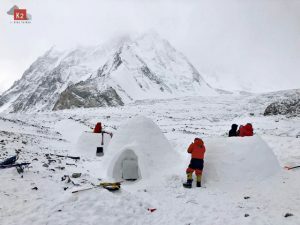 After arriving there yesterday, four team members turned towards Advanced Base Camp today, but were unable to reach the spot due to bad weather. 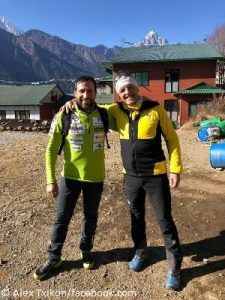 Today the two Poles Marek Klonowski and Pawel Dunaj reached K2 Base Camp too, as the first climbers from the team of the Spaniard Alex Txikon. The majority of the members, including Txikon, are expected there on Wednesday. Waldemar Kowalewski,, the third Polish climber, will join the team in a few days. 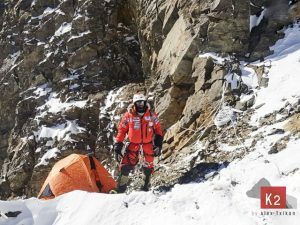 The 45-year-old has scaled three eight-thousanders so far: Mount Everest in 2014, Lhotse and Broad Peak in 2017. According to the chronicle “Himalayan Database”, he reached the 8,125-meter-high Subpeak of Manaslu in 2016. The Italian Simone Moro and the Nepalese Pemba Gyalje Sherpa have moved to their base camp at the eight-thousander Manaslu in western Nepal. 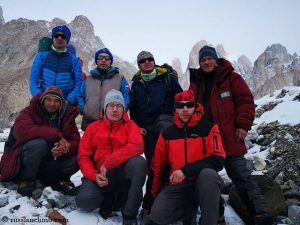 After having previously climbed the six-thousander Mera Peak in the Khumbu region to acclimatize, they yesterday were flown by helicopter from Kathmandu directly to the base camp at 4,800 meters. “Due to the snow porters cannot walk till here,“ Simone wrote on Facebook on Monday. “Weather conditions are good, definitely better than 2015. Of course, it’s a bit cold. Today it’s minus 25 degrees Celsius. 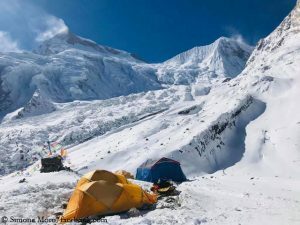 Let this adventure begin!” In 2015, the 51-year-old and the South Tyrolean Tamara Lunger had failed on Manaslu due to the enormous snow masses of that winter. Update 16 January: Daniele Nardi and Tom Ballard climbed on the Mummery Rib up to 6,200 m and deposited equipment there. 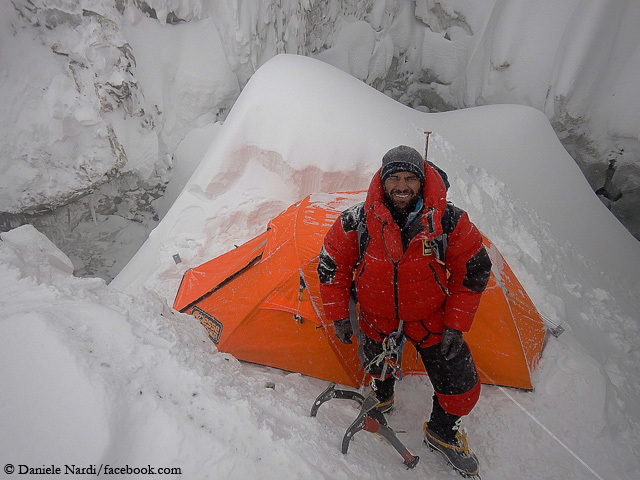 Alex Txikon and Co. have reached K2 Base Camp.